#Blogtober16 Day 24: Which Disney character can I most identify with? I think the Disney character that I can most identify with has to be Princess Anna of Frozen fame. Clearly I am not a princess, but we do share a number of common personality traits. Anna is a very determined individual; I like to think that I share some of that determination. Unfortunately, much like Anna, I have a habit of not always thinking before I speak. Words tend to just fall out of my mouth before I can stop them. I don’t mean to be rude but sometimes things I say can be interpreted in a completely different way to my intention. This can make things a bit awkward! I also share Anna’s insecurities as she believed that Elsa’s self-imposed exile from her was as a result of something she’d done, which is not the case at all. Too frequently I attribute other people’s bad behaviour towards me as a consequence of my personality. This can’t always be the case, especially when it concerns rude strangers!! Sadly, like Anna, I too have quickly become engaged to a man who turned out to be a complete arse, before finding my Mr Right. I’m sure I’m not the only woman who can say that though! 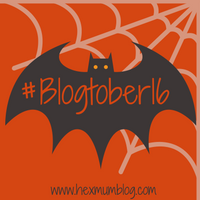 "#Blogtober16 Day 25: The Super Power I’d Most Like to Have"
"#Blogtober16 Day 23: My Favourite Time of Year – September"
Oh why didn’t I think of Anna….What a great choice!